Steven Defour scored a sensational second goal for Burnley in our 2-2 draw against Manchester United at Old Trafford four days ago and that, plus his overall performance, has won him the man of the match vote and the player ratings for a second successive game. He was certainly the best midfielder on view on a day when Burnley came so close to winning there for the first time in over 55 years. He won the man of the match with 35% of the vote, ahead of current captain Ben Mee who was second with a 23% share. Ashley Barnes, who came in for the injured Chris Wood, just beat Kevin Long into third place with the Irish defender coming in fourth; both had 11% of the vote with Barnes winning just one more vote. The top two were the same in the player ratings but there were changes in the other two positions. After the Spurs game, it was good to see the ratings back to a higher level. All the players who started the game scored higher than seven out of ten for a good performance with three players beating the very good performance score of eight out of ten. Defour was the winning with a rating of 8.43, closely followed by Mee who scored 8.24. Third place went to former Manchester United right-back Phil Bardsley. He scored 8.05 while a rating of 7.90 out of 10 meant a fourth place finish for goalkeeper Nick Pope. 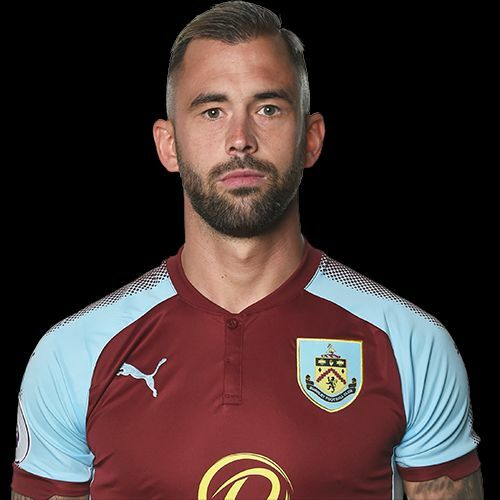 Defour, for a second game, picked up the maximum ten points towards the Up the Clarets Player of the Year with Mee winning six points. Both Bardsley and Barnes collected two points with one point each for Long and Pope. The Spurs result took Defour to the top of the table, but this game has now seen him go 13 points clear of James Tarkowski with Jack Cork a further eight points behind the defender. There’s a battle for fourth place now with only three points separating Pope, Guðmundsson and Mee. Watch out for the vote for today’s game at Huddersfield. It should be available within an hour of the final whistle at the John Smith’s Stadium. The Manchester United result and the current player of the year table can be found below.